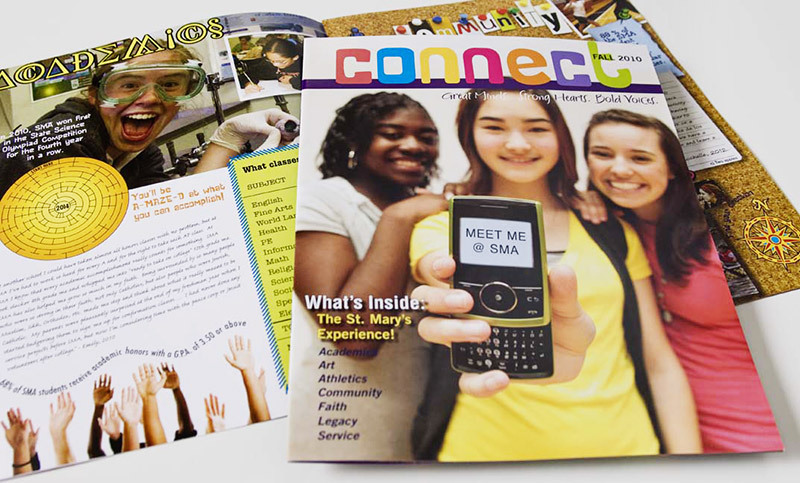 Task: Design admission materials that would increase applicants. 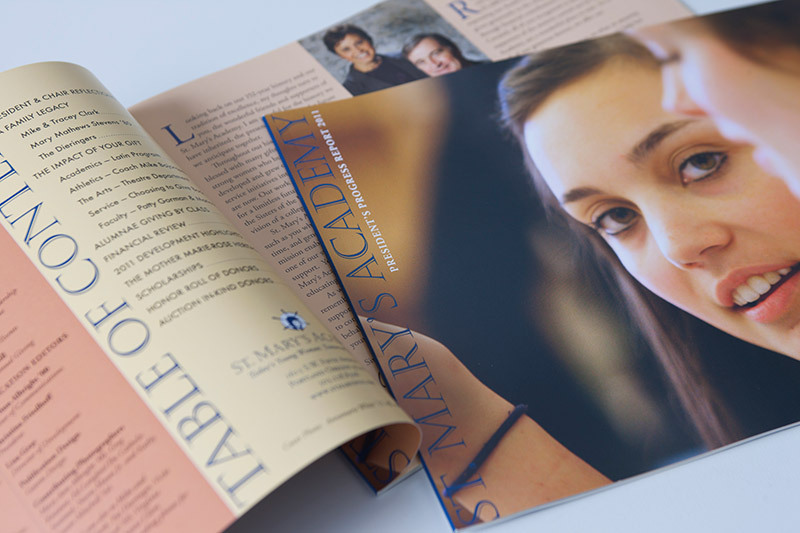 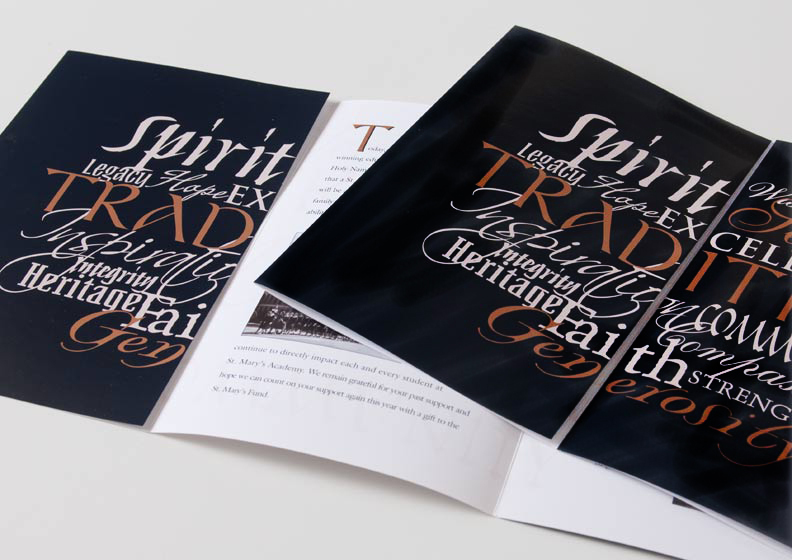 Traditionally St. Mary’s had a 5.5″ x 8.5″ perfect bound annual report. 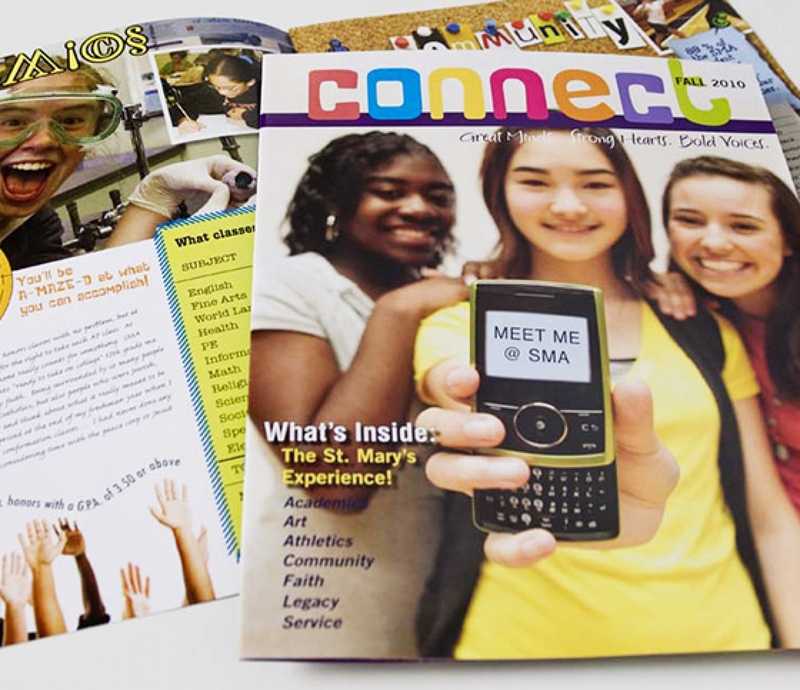 With the dramatic shift to a landscape 11″ x 8.5″ view, the annual report became a noticeable view of the school’s effort to secure its reputation as a college-prep high school for girls. 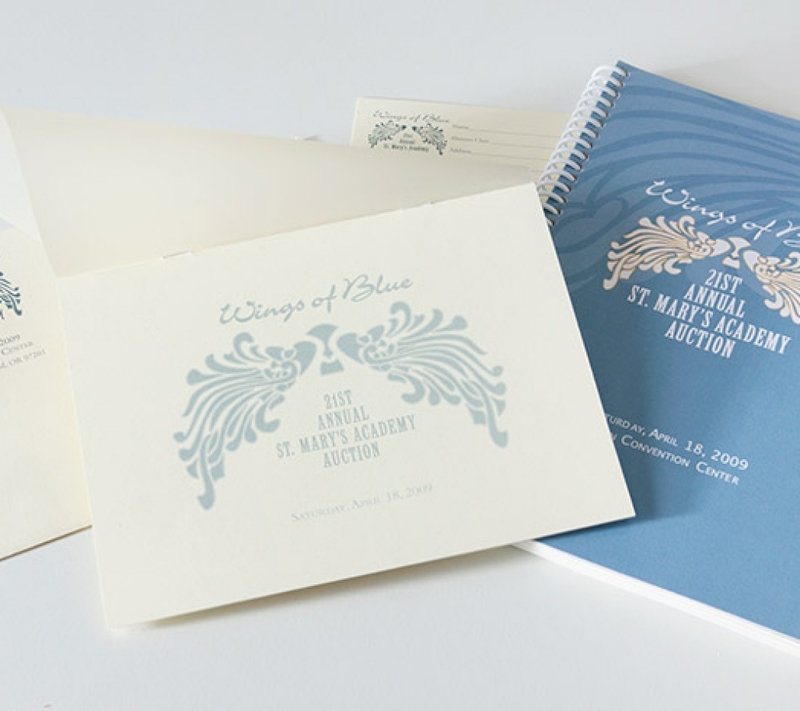 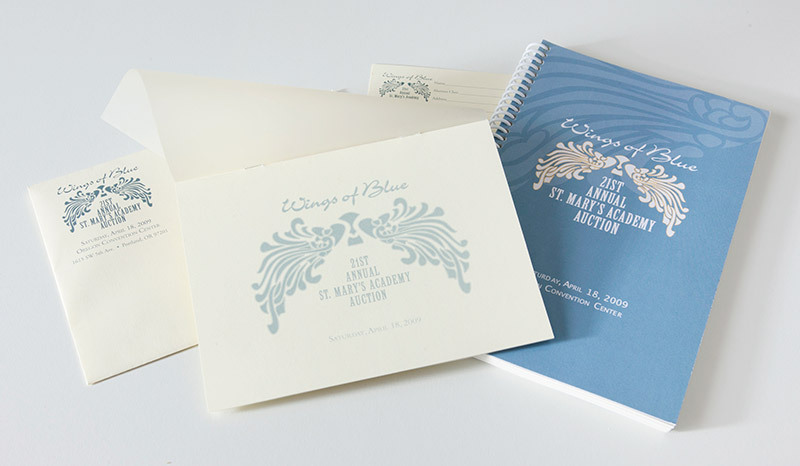 An illustration of Nouveau-type wings was design for St. Mary’s auction logo and used in the development of all auction materials. 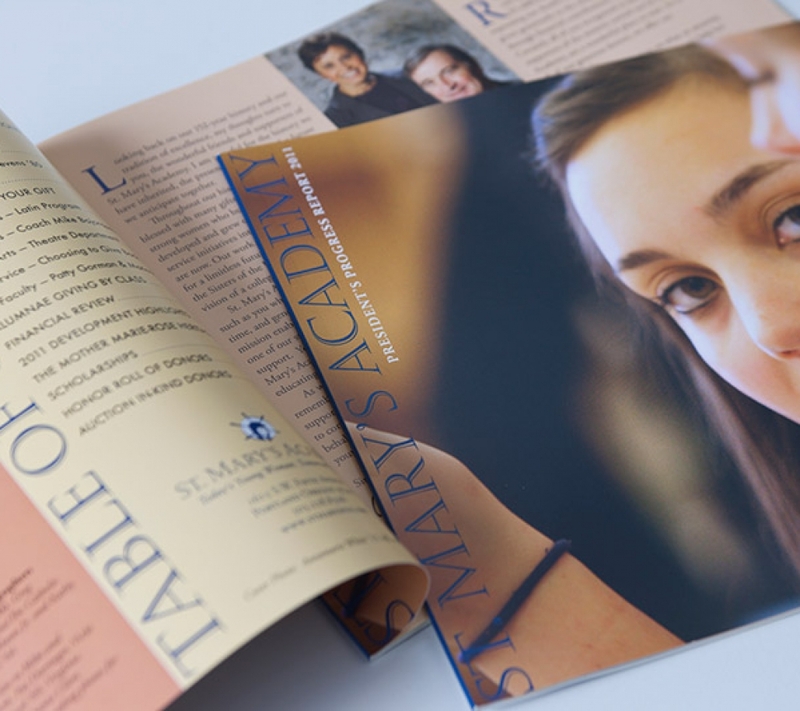 Taking key words from several conversations with staff, I designed an annual appeal steeped with words emblematic of St. Marys Academy. 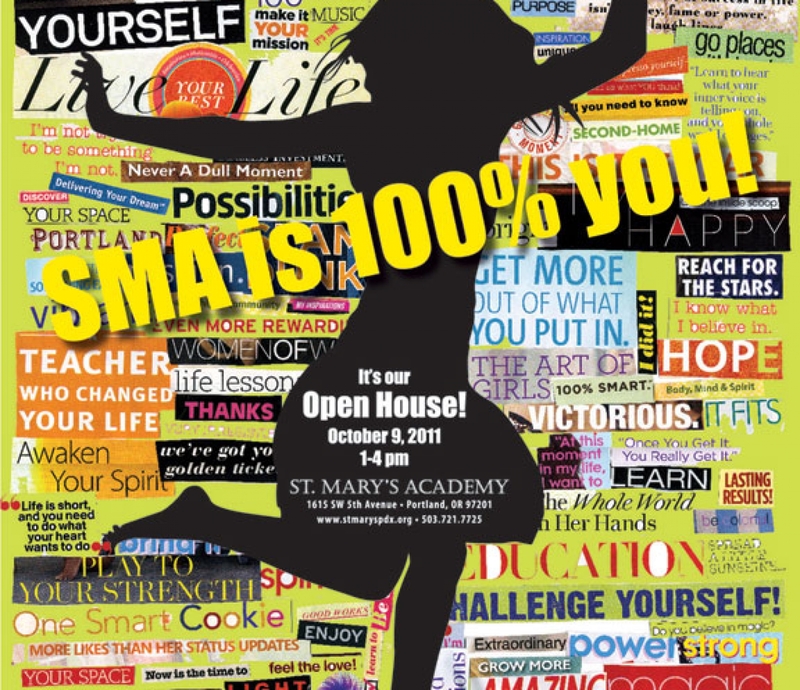 For years St. Mary’s had created an invitation, a poster, envelop and a hand-out for their annual Open House. 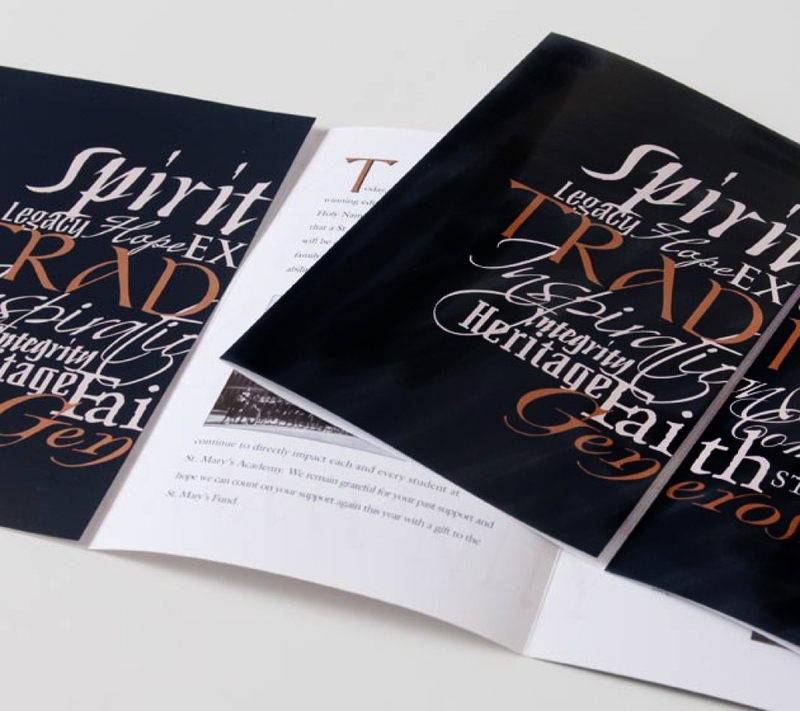 This standard changed when I introduced the idea of combining all these materials into one self-mailer as a cost-effective measure. 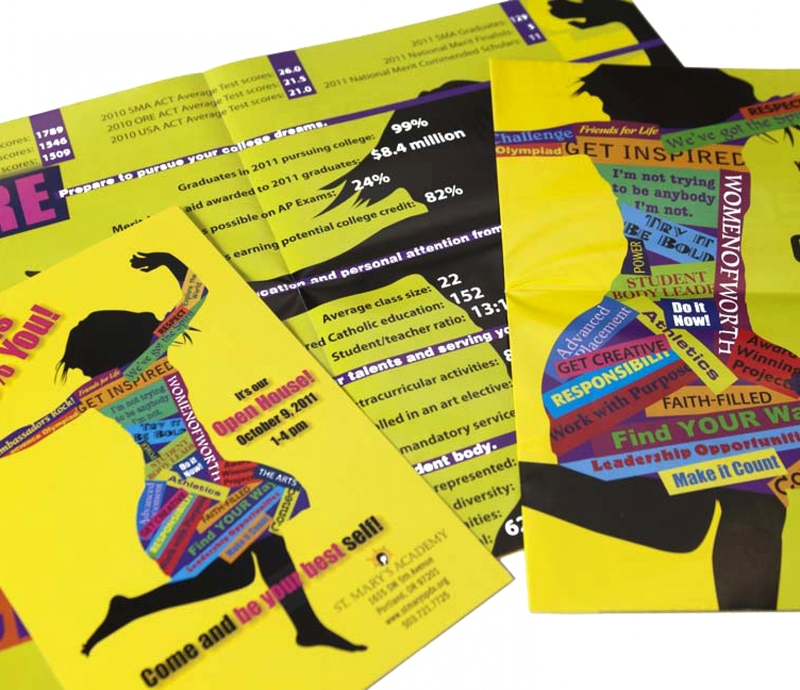 To create the poster, several magazines were purchased and doing exactly what many teen girls do, I created a word collage. 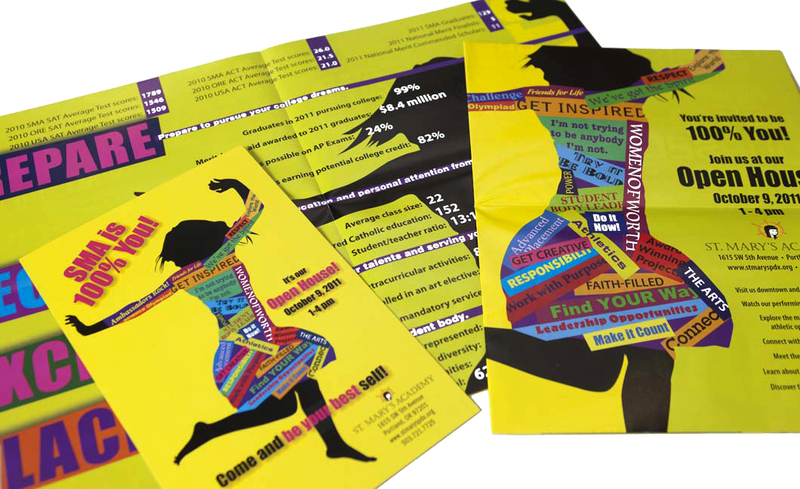 The poster was handmade at 100% (18″ x 24″) and proved not only to be cost effective but got parent praise. 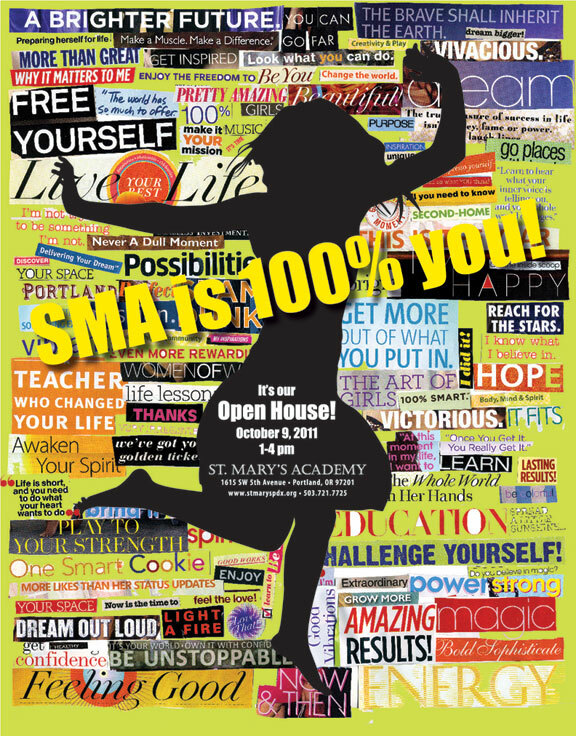 Task: Design invitation and poster for St. Mary’s annual Open House for pre-teen girls. 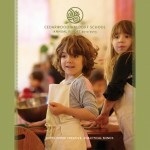 Result: Positive reviews on Facebook by parents!